O from Behold the Stars is hosting a Russian Literature Challenge. I will participate, but I'm not yet sure how many books I will read or what those books will be. I only know that I want to read Tolstoy and Chekhov. I will definitely read War and Peace next year (famous last words) and I thought I could perhaps try to read all of Tolstoy's major works. The last piece I read by him, years ago, was The Kreutzer Sonata. To say I hated it at the time would be an understatement - I despised it as I rarely despised anything in my life and it colored my view of its author ever since. It's time to read more and make up my mind. So 2014 might be the year I decide if I hate Tolstoy or not. Ah, the suspenseful life I lead. As for Chekhov, all I know of him through cultural osmosis make him sound like someone whose works I'd enjoy reading. I confess part of it is that I've been a little obsessed with this beautiful passage from Katherine Mansfield's journal for a while now and it made me crave to read Chekhov. 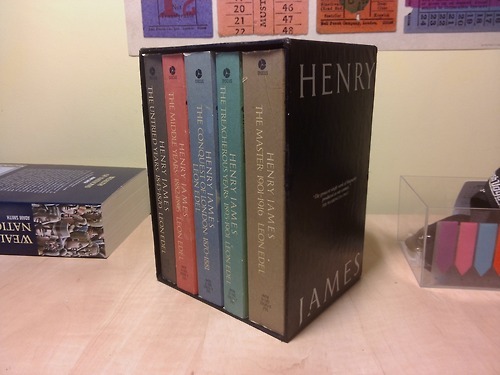 Remember that time when I thought reading the complete works of Henry James will make all of my problems magically go away? I have decided that the only flaw in that plan was my lack of follow-through, so I will be returning to my Know Your James project in 2014. I also plan to read Leon Edel's five-volume biography of HJ. It is the best thing I bought this year and so far I've only read half of the first volume, because I'm awful. I haven't been very good at keeping track of my reading on the blog. I read some wonderful books this year that I didn't get around to reviewing: Winesburg, Ohio, The Heart Is A Lonely Hunter, Shirley, All Quiet on the Western Front, Native Son, The Golden Notebook. I will try to review some of these next year and try not to fall so far behind on my reviewing in general. It's not so much the sharing aspect of it that worries me - though I'm sure I missed a lot of great conversations by not discussing these books - as it is the fact that the posts I write are aids to memory (as Francis Bacon would call them) and boy, does my memory need them. I think this is my last post for this year, so happy 2014! I love this post! And I really hope you love Tolstoy rather than hate him ;) I'm planning to do some weekly War & Peace posts for January... if I get round to writing them hopefully they'll prove useful! All the best for 2014, Lucy at Tolstoy Therapy. Hehe, I just ordered a very beautiful copy of War and Peace this morning - can't wait to start it in 2014! *cracks knuckles* I had quite a poor experience with Henry James this year (The Turn of the Screw just wasn't for me), so I'm hoping that the next book I read by him will turn this around! And also Ursula K. Le Guin is an author I would like to read too, I have a feeling that her type of fantasy could be very interesting. Here's to successful new reading year! Hey look, we're reading a lot of the same books next year. 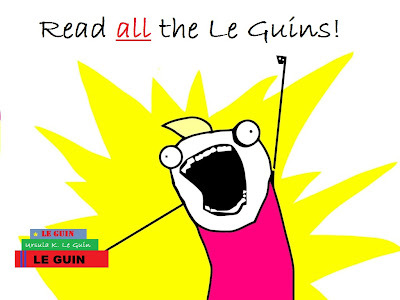 And you could definitely add some Le Guin to your TBR pile - The Lathe of Heaven was great (and quite short too - you can read it in one sitting). Since we're in similar places with Tolstoy and HJ, here's to authors redeeming themselves in 2014! Happy New Year! Great plans there :) War and Peace isn't so scary - I think I'll be re-reading it next year. Possibly. I *do* want to re-read Anne Karenina. Thanks, o! And thank you for organizing this challenge. 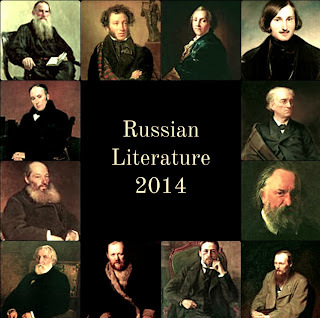 I'm really looking forward to reading a ton of Russian literature this year. I'm looking forward to trying more Tolstoy this year - I loved Anna Karenina so I have quite high hopes. I'm not sure I'm brave enough to try War and Peace just yet though. I absolutely adore that Katherine Mansfield quote. Chekhov is a wonderful writer. Who Would You Want To Be Written By?